All of the letters dated back to the first few years that we were married. Nearly 30 years ago! And they all described the captivating woman he saw me as – the woman I had hoped in my heart of hearts that I still was in his eyes. How I would have loved to believe that I hadn’t changed a bit through the years. How easy it would have been to believe that he was the one who had become distant, more critical, less interested, and less passionate than he was the day we married. It was a little tougher to put that magnifying glass up to myself and ask if I was the one who let resentments build up or baggage get in the way. Here are a few of the steps I took to remove the baggage, rebuild love, and recapture my husband’s heart. And they amount to three simple ways you can experience more with your husband. Remember when you were a brand new bride? It might be decades ago or just a few weeks. But oh, what a feeling! You couldn’t wait until the two of you got off work so you could be together again. You constantly checked your voice mail messages or your phone to see if he had called during the day. You had a special sparkle in your eyes when you talked of him and a spring in your step when you walked alongside him. What would it take to get back that loving feeling for him? If you’re waiting for him to do something different, I guarantee he will when YOU start responding to him like you once did when you were a new wife. Most of the baggage in marriage comes from words the two of you have said to one another. Careless words. Accusing words. Hurtful words. Many times we didn’t even intend for those words to sound the way they did. That’s the whole point in reframing your words to your husband. Ephesians 4:29 tells us to “Let no corrupting talk come out of your mouths, but only such as is good for building up, as fits the occasion, that it may give grace to those who hear.” So, instead of saying “Are you going to wear THAT to dinner?” Say instead, “I’d love it if you’d wear that blue shirt you look great in.” And instead of saying “Why don’t we go out on dates anymore?” try instead “I miss spending time alone with you.” Ask yourself, before the words exit your mouth, “Will this encourage him and make him believe I’m in his corner?” If the answer is no. Don’t say it at all. In every relationship there are memories and situations you are best to let go of so the two of you can move forward. Negative thoughts and memories may assault you at times, but don’t let them run rampant in your mind. Instead, practice 2 Corinthians 10:5, which instructs us to “destroy arguments and every lofty opinion raised against the knowledge of God, and take every thought captive to obey Christ.” Capture that thought and kill it. And then remember why you fell in love with your husband in the first place. Was it his tenderness? The way he made you laugh? His dependability and faithfulness no matter what the circumstance? Focus on his positive qualities – even ones that you believe are no longer there – and you just might start noticing them again. 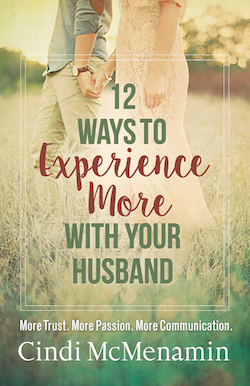 on 3 Ways to Experience More with Your Husband. My first instinct was towards #2 because I always think, after my words to him, that I could have said that in a better way. But, my mind keeps going back to #1. My childhood lacked affection so it’s always a struggle for me not to fall into patterns of distancing myself. I will commit to being the new bride. Great comment, Cyndi. I think we all can better frame what we say when we take the time to think about it. Best wishes as you return to being a “new bride” in your heart and mind. Are you located in the U.S.? After over 36 years of marriage my husband and I have grown a lot. I’ve learned about him, loved him, and accepted him for who he already is. That took many years. He wasn’t a romantic when I married him and he isn’t now but he has been by my side and we’ve helped each other through so much. His dad and my mom both passed away this past year and we’ve been there for each other. I do need to work on my “open mouth insert foot disease”. Sometimes I say something to him without thinking how he’ll react and I wish I could take it back. We live in the great state of Alabama. Thank you, Gail, for sharing such beautiful insights about a marriage of trust and dependability. Thank you for your honest comment at the end there, too. 🙂 You are entered to win a free copy of the book. Roll tide! Awesome article!!! The resentment and negativity have had devastating results for me! Thank you for your honesty and for taking the time to leave a comment. That negativity and resentment can be reversed. It’s worth a try. Thanks so much for this! We were just discussing last night that we should talk the way we did 30 years ago. #2 hits home with me. I’m reactive and need to reframe what I say, and respond like I did years ago. I’m sure going to try ! The step I need most to work on is #2 my words to my husband, encouraging him rather than discouraging him. It is quite a challenge! I am an encourager to most everyone I speak with and yet not with him. One thing I find uncanny is that my love language is words, and yet it’s hard for me to think that way in terms of him and I think based on his past it’s one of his most important love languages as well. A BIG challenge is how he relates his past to his present, and I have trouble helping him figure that out. I think the point of the matter is I am a fix-it kinda gal, if something’s wrong or broken I feel it’s my job to fix it, kinda part of how I do my job and it carries home! And that’s not what he needs me to be, I need to be a better listener and NOT offer the “fix”! I’m in PA, married 10 years to a great man!!! Number two is the one I need to work on the most. It’s been my biggest struggle during our 13 years of marriage, but by the grace of God he’s still working on me and my heart. Thanks for the great advice! You’re welcome, Monika. Thanks for your leaving your comment. Thank you, Chery, for your input I’m glad my book is helping you. ? Congratulations to Gail Hollingsworth of Alabama, Monika of Illinois and Missy of Pennsylvania for winning a free copy of “12 Ways to Experience More with Your Husband.” As a thank you to ALL who left comments and participated in the giveaway, please use coupon code “blogfan” in my website’s shopping cart and receive another 20 percent off the introductory sale price of this book. (Offer expires 2/28/18). I am a counselor but need help myself in my marriage. I married someone I met when we both very busy students. He was from another country and because of a language barrier (we spoke each other´s language, but incompletely) and cultural differences, we really didn’t know or understand who the other person was very well. Before we were married, I saw him as someone who was very sweet, intelligent, adventurous and very interested in Biblical study. Once we were married and moved to his country, I was hit with a shock to realize that he married me to show his old girlfriend she should have waited for him to return from the US, and to imitate his best friends. One had married an intelligent foreigner, and the other had married a nominal Catholic and persuaded her that belief in God was pure superstition. My husband thought he could do the same with me, but once we were married and living in the same country, he quickly found he could not do the same, because I have a strong personal relationship with God, through Jesus, and know that God is real. Once in his country, personal attacks on my beliefs started, implying I am intolerant, a nasty person because of my religious beliefs, superstitious, etc. any time we spend time together alone, which was and still is very little because he spends an average 12 hours a day and weekends at his work, even on holidays if they aren’t celebrated by and with his favorite relatives. This is not necessary for him to do because his labor contract is very flexible and many of his co-workers spend large amounts of time working at home. He “pulls me out” for social occasions with his favorite aunt, his parents, friends and colleagues, who all seem to like me because, in reality, I am personable, educated, intelligent, and well-informed so I can converse intelligently about many areas, from science, politics, philosophy and even in his area of mathematical finance. So the only one in his social system who seems not to like or respect me is my own husband. This still is a great shock to me since I thought we loved each other, and still want us to do so. I believe that I made a commitment to God to love and care for this man, but I feel like I am the only one who feels any love in my marriage. I feel like God is the only one who loves and is sustains me since my my parents have died and my husband has done whatever he can to keep me from finding a Christian community and friends in the country where we live. In my work, I am a teacher, translator and counselor of my clients, without coworkers to make friends with. I am praying that God show him that God is real and teach him to love me and others. I would appreciate any comments to help guide me in what is a Christian response for me in my situation. You strike me as a well educated and Godly female. This is why I am utterly confused by the advise as a female role model you provide. Your “advise ” continues to perpetuate the notion that as females we are the ones who have to compensate our characters to be pleasing to men. Why do educated women like yourself keep this idea going. It’s not smart . Smart for the men yes – not smart for us women. Why don’t you instead write about how men should change themselves to please us. Why is it always the females job to change her character and how she communicates to improve or save a “relationship”. Your advice is as a female , for me to compensate being a female and act more male. Why? Why can’t men compensate and act less dominant. Don’t tell me it’s not manly – nothing says a true man is brutus in character. We as women difine what a true man is by our own definitions. Your advice basically reinforces the stereotypical notion of men will be men so we have to work around them and by their rules and their ways. Again I ask you why? I have a masters degree, have studied the Bible and biblical history extensively and have been a married Christian female over 30 years. Thru all my education and life experiences I have never heard or read where God tells me to be a man = become like a man. Rather by design of God himself, the feminine charter is to – compliment not compensate ! All women should teach and model by example for all females , young and old – to be true to themselves and true to their own womanly character. Trust me , men by nature would adjust to us and be more focused on our needs,(as we have had to thru the course of history to theirs) if we as women ALL stood together . Instead we continue to be bombarded daily with advice belittling women physically, emotionally and spiritually by telling us how to change for our men. History will keep repeating the perception of the female being less then the male as long as society and women themselves accepting and perpetuating this notion. Mel, thank you for addressing your concerns with me. I am sorry you have interpreted my writing and advice as encouraging women to be male, not female. That has certainly never been my intention.I write to women about how they can, through the power of the Holy Spirit, be what God intended them to be. In the case of married women, I believe the Bible points out that we were created to be “helpmates”. I have seen women, through the years, have unrealistic expectations for their husbands that only God can fill. I have seen wives expect their husband to serve them and make them happy when that goes both ways. I’ve seen women very critical of their husbands without considering what might be going on in their husbands’ hearts. I have addressed these issues to women, as a woman, who knows what it’s like to feel that way, at times. I don’t believe I’ve ever encouraged a woman to become like a man. I encourage them to be Christlike. So I guess I encourage them to be like THE MAN, the Lord Jesus. I encourage them to go to God FIRST with their emotional (as well as spiritual) needs and as they become strong in their relationship with Him, they will not be dependent on a man to fill them up. Perhaps those are the writings and books of mine you have missed. To answer your question about why I am not writing to men, women have always been my audience. Women read what I write. I am a woman, I can relate to women. In a book I co-authored with my husband called When Couples Walk Together, I let my husband address the men with the types of things THEY need to do. 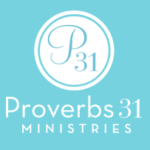 In my experience (and this could be a generational thing, because I’m guessing I might be older than you), men tend to receive instruction more readily from another man, especially when it comes to spiritual or marital instruction. Whether or not that’s right is not the point. In my experience, it has been a fact. When my articles run on Crosswalk.com often they are exposed to men, too, but by and large women are my audience. Thus I write to their hearts. Thank you for sharing yours with me. I do believe our intentions are the same in wanting women to live freely in the love of God and the power of His Holy Spirit, being all they were created to be. Thanks again for sharing your concerns and your questions.